Steve Schwarzman’s buyout firm is selling debt to fund its takeover of Thomson Reuters’ financial data arm. The terms allow the owners to pay themselves cash even in tough times. Such undemanding rules make these high-yield bonds look more like stock – but without the upside. 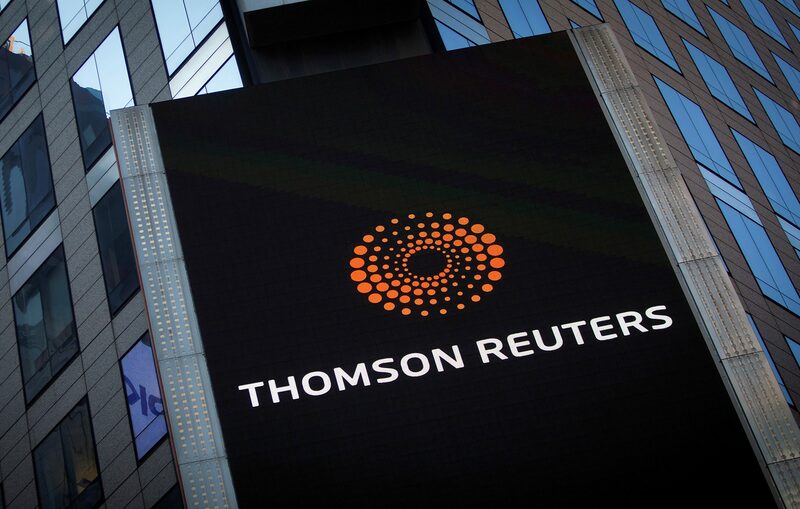 The Thomson Reuters logo is seen on the company building in Times Square, New York October 29, 2013. Research groups Covenant Review and Debt Explained have warned that bonds being issued by Refinitiv, the financial data unit that Thomson Reuters has sold to Blackstone, remove typical protections for investors. The business, formerly Thomson Reuters’ Financial & Risk division, is raising a total of $13.5 billion, split between $5.5 billion of bonds and $8 billion in loans. A Blackstone-led consortium will control 55 percent of the company. Thomson Reuters will own the rest. The prospectus for the bond issue, which Refinitiv is currently marketing to potential investors, contains clauses that “eviscerate fundamental protections that high-yield covenants were designed to provide”, analysts at Covenant Review wrote in a report. Both Covenant Review and Debt Explained highlighted a clause in the bond prospectus that would allow Refinitiv to make dividend payments - in cash or stock - without having to satisfy a financial test that requires a company’s EBITDA to be more than a given multiple of its debt costs. According to Debt Explained, such tests are customary for companies which issue high-yield bonds. Both Blackstone and Thomson Reuters, the parent company of Reuters Breakingviews, declined to comment. According to both Covenant Review and Debt Explained the “restricted payments covenant” included in the bond prospectus allows Refinitiv to make a cash payment to its shareholders even after it has breached a contractual debt term, such as failing to file accounts, but before its creditors have declared a formal event of default. The provision also allows Refinitiv to repay subordinated debt or make an investment even after a formal event of default, so long as it has not missed an interest payment or been declared bankrupt.